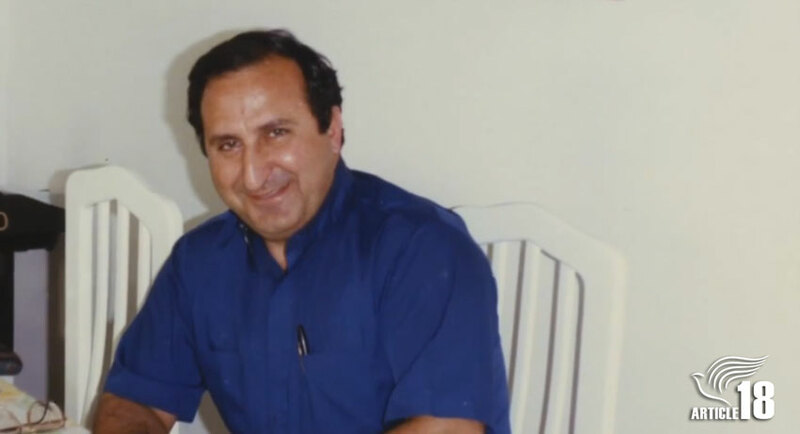 Tomorrow will be the 25th anniversary of the extrajudicial killing of Haik Hovsepian, one of several Christian leaders found dead in suspicious circumstances in the early 1990s in Iran. Haik was the first chairman of Iran’s Council of Protestant Churches and superintendent of the country’s Assemblies of God denomination. His family was notified of his death 11 days after his disappearance, on 30 January 1994. He was found with multiple stab wounds to his chest. His disappearance came three days after the release of another pastor, Mehdi Dibaj, who had been sentenced to death for apostasy and had spent the past 10 years in prison. Haik Hovsepian had been one of the main campaigners for his release. Six months later, Mehdi Dibaj was also abducted and killed. Haik left a wife, Takoosh, and four surviving children, Rebecca, Joseph, Gilbert and Andre (the couple’s first child died in a car accident in 1969 at the age of just six months), who left Iran five years after his death and resettled in California. Haik’s wife and children have continued to support the Church in Iran through the charity they founded in 2007, Hovsepian Ministries. Haik Hovsepian was a fierce campaigner for religious freedom in Iran. A year before his death, in November 1992, he called upon the UN Special Rapporteur for Human Rights in Iran, Reynaldo Galindo Pohl, to petition for “true religious freedom” in Iran, based “not on ethnic or religious identity, but on personal conviction”. He also refused to sign a statement declaring that Christians in Iran enjoyed religious freedom and pledging that converts to Christianity would be banned from his church. Twenty-five years after his death, the rights of Christians and other religious minorities in Iran continue to be violated, as Article18 has documented in its inaugural annual report, released yesterday. At the end of 2018, an unprecedented wave of raids on private house gatherings of Christians in ten different cities led to 114 arrests in one week alone. Dozens more Christians were arrested over the course of the year – with some of them subjected to violent physical assaults and one woman reporting that during her interrogation she was sexually assaulted. At the start of 2019, at least 14 Christians remained in prison, detained on spurious charges related to their faith or religious activity.